This is a very fancy mare. 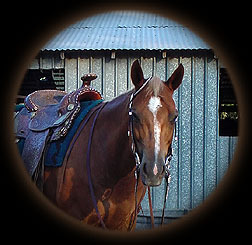 Athletic, and a real eye catcher in the Show Pen or on the trail. She is a pleasure to work with. 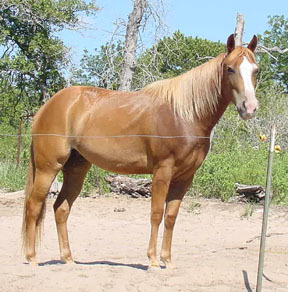 TC has been shown in PtHA breedstock classes and Open Shows. 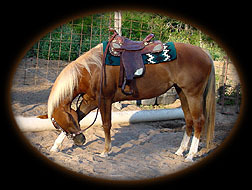 She has a ROM in Halter (42) and Western Pleasure (37). She also has points in Trail (7), Disapline Rail Western (7), Western Riding (7), English Pleasure (4). Many Show and Year End high point and class awards and many, many compliments from the judges. TC has had a long break from the show pen but has been being ridden regularly in the last few months and is doing great. She has even been going to a few reining clinics...she is awsome. Goes on light cues and push button control. As you can also see she is gorgeous and is a real steal. Email today for more info on TC. 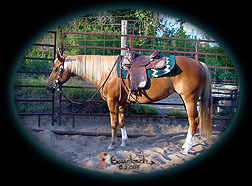 Thank you and Congratulations to Debbie of Pleasanton, TX for the purchase of this fine show mare. Good luck to the both of you in all your endeavors.